Different biokinetic rate values for aerobic, anaerobic & anoxic zones within Biological Nutrient Removal Plants (BNR). Auto-calculation of the reduction in active biomass availability for biodegradation of organic compounds as solids retention time increases. 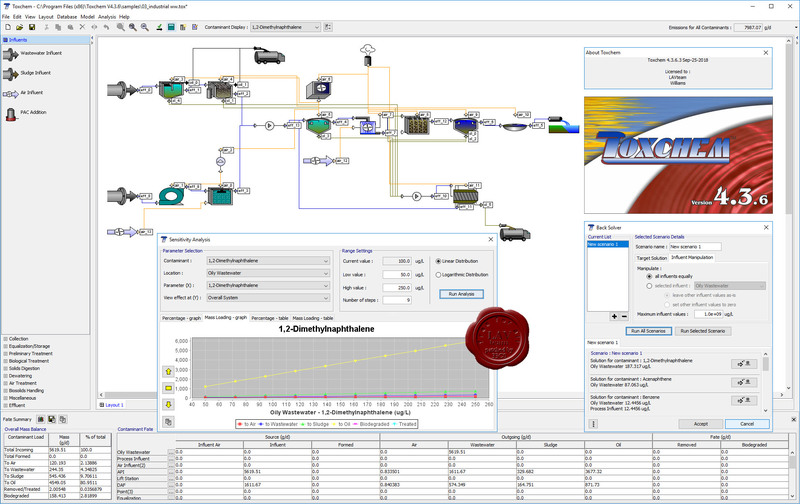 A highly useful "backsolve" utility that enables users to easily reverse engineer an allowable headworks concentration given a downstream concentration limit. Sensitivity Analysis tool for studying the relationship between input parameters and model results.